The photographs of Karolin Klüppel (*1985) have been widely exhibited in museums, galleries and at festivals. Since she received her MFA in 2012, she has exclusivly worked on personal projects that deal with the last matriarchal and matrilineal societies of our time. During her months abroad, she deeply involves herself with her project and tries to share the lives of her subjects for a certain time. Her passion may be the reason why she once almost died of a bacterial infection in the Indian jungle or was nearly eaten up by Chinese flees. Her most recent project “Mädchenland“ has won several awards - for example the Canon Profifoto Award 2014 and the Felix Schoeller Award 2015 - and has been published in renowned international magazines such as The National Geographic Magazine, The New York Times, The Independent, The Huffington Post and The Washington Post, among others. Her work was recently shown in the Bibliothèque nationale de France, the Cultural History Museum Osnabrück, the Delhi Photo Festival and the Chennai Photo Biennale. 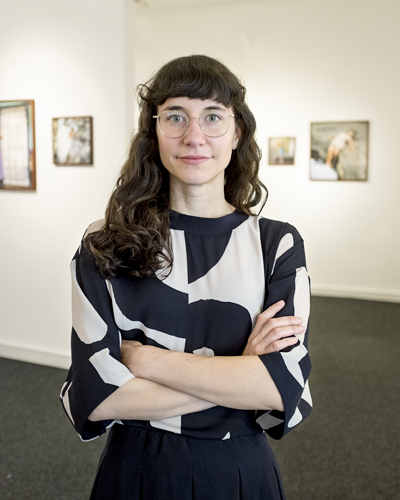 Karolin Klüppel has received support through several grants, including the Artist-in-Residence program of the Vice-Versa Foundation in Goa and the VG Bild Kunst Grant for Photography. In 2016, she published her first monograph at Hatje Cants publishing. Her photographs are part of various private collections.